Dianna E. Almanza is a Research Assistant within the Business and Governance research track at One Earth Future Research. Ms. Almanza holds a Master’s in International Human Rights with a Specialization in Conflict Resolution, from the Josef Korbel School of International Studies at the University of Denver. She is a proud alumna of Regis University in Denver, the Graduate Institute of International and Development Studies in Geneva, and Richmond University in Rome. During her undergraduate years, she was selected to participate in highly competitive national internship programs with the Hispanic Association of Colleges and Universities (HACU) and the Congressional Hispanic Caucus Institute (CHCI). In 2018, she provided complex multi-lateral problem solving and strategy development, while serving as permanent protective physical accompaniment to the members and leaders of the San José de Apartadó Peace Community in Colombia. Her first-hand involvement in peace-building processes encompassing farming, indigenous, and afro-Colombian communities throughout Colombia, stem from her experience within the respective Human Rights Council and Special Procedures Branches, of the Office of the United Nations High Commissioner for Human Rights in Geneva. While in Geneva, she was also selected as a 2016 Humanitarian Action Fellow within the Duke Global Policy Program (Policy and Governance Program), that originates from the Sanford School of Public Policy, at Duke University. In her spare time, she enjoys dancing away to merengue, cumbia, and salsa. 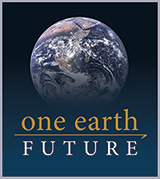 Solicitud de permanencia de One Earth Future en el régimen tributario especial colombiano.